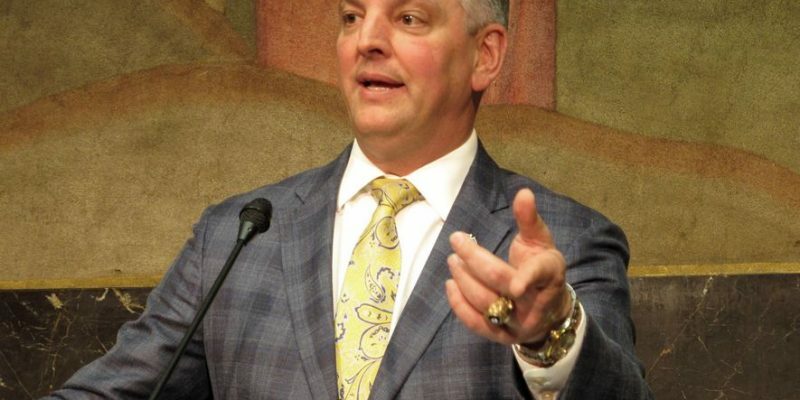 Baton Rouge, Louisiana – Governor John Bel Edwards on Friday vetoed a budget submitted by the Louisiana Legislature which fully funded all essential state programs. The first-term Democrat is seeking an additional $500M in taxes to replace temporary taxes previously passed that are set to expire in June. The vetoed bill covered 70 percent of TOPS. The Governor preemptively called for the second special session of the year, giving State Representatives and Senators just 3 days before starting over from scratch. Some conservative legislators have been especially strong-willed in the face of overwhelming pressure from the Governor and his political machine which included letters sent to their constituents laying blame for potential cuts to medicaid and medical schools. The vetoed budget fully funded both. Governor Edwards even sent warning letters to 20,000 elderly citizens stating that their state-sponsored nursing home care could be at risk. The exaggerated threats from the Governor are reminiscent of 2 years ago when he threatened, of all things, the end of LSU football. John Bel Edwards continues to push his agenda in the media, authoring two op-eds entitled “Now Is The Time To Fix Louisiana’s Problems” and “Another Temporary Fix On Louisiana’s Budget Isn’t Good Enough”.